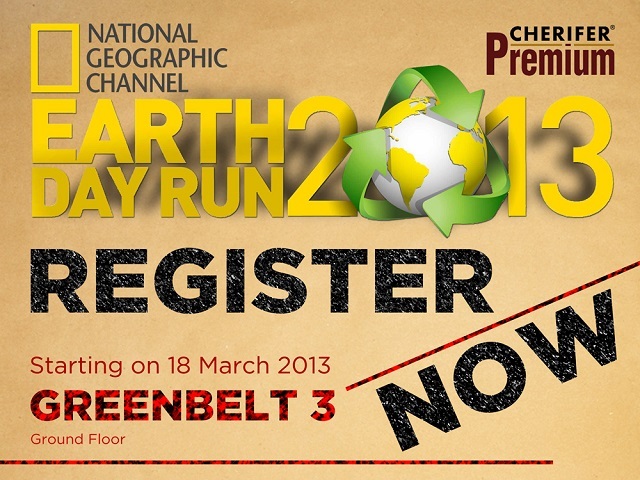 Last weekend ago, Meowth and I dropped by at Greenbelt to have us registered for NatGeo's Earth Day Run. Reaching the registration area, we learned that there's only 3km and 21km slots remaining and the 5km and 10km have been sold out. Bummer! Meowth was forced to register for the half-marathon category and ditching the original plan of doing ten kilometers. 1. Online registration have been closed as slots intended for it have already been sold out. 2. Once these 2,000 additional slots have been sold-out, registration at the Greenbelt 3 kiosk will already be closed. 3. 300 slots for 21km with a lower registration fee of PHP780 is available without a race singlet, all other race inclusions meant for 21k however will still be provided.